Snickers, a.k.a. Snick the Dog, a.k.a. 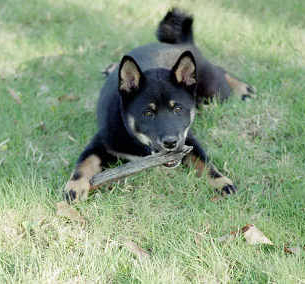 Kawakirei BNT Sweet 'N Nutty, is a black and tan Shiba Inu. 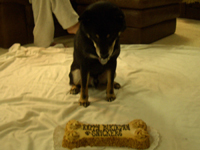 Born Thanksgiving Day, 2003, in upstate New York, Snick was a sweet puppy from the very beginning. His breeder, Sandra Krupski, chose him for us because he was "the kissiest" boy in the litter. She later wrote "Snickers was a big puppy when born and he loved to eat and looked like it. Because he was so bottom heavy he was the last to walk. We used to do leg exercises while he laid on his back and stared at me. Then he got his belly scratched and tickled and loved it. It got so he would just flop over every time I walked near him. Best head of the bunch. He was always the most social of the boys... every time I reached down to pick up a puppy, it was always Snickers. He's always been that special dark sweet treat." Snick spent the first five years of his life in Manhattan, living the charmed life of an active city dog. He went to meetups and training classes, played with his pals at the dog run every day, took long walks all over the city, partied hard at doggy daycare, had an awesome dog walker, visited a school to teach kids about doggies, went to restaurants and bars, and even went to work at an investment bank every Friday. We moved out of Manhattan in the summer of 2008. Snick spent 7 months in rural Indiana, a little over a year in Jersey City, NJ, and then moved to Mississippi for five years. Now we're living the big city life up north again, and Snick couldn't be happier! 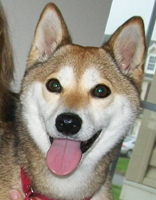 Snick's pedigree provides a solid foundation for his wonderful temperament. Ongoing training and socialization have built on that foundation. 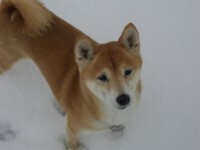 Although he is a Shiba Inu - often known for being snarky with other dogs and antisocial towards humans outside their inner circle - he has continued to be a very social dog. Jan 31, 2004: Nine week old Snickers moved from upstate NY to Hell's Kitchen, NYC to start the process of changing Jenna's life. 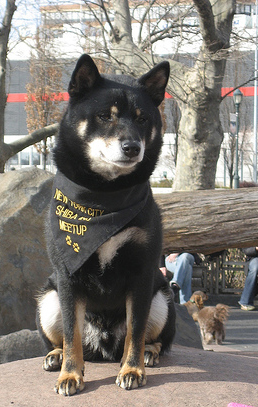 June 2006: Snickers had so much fun with his two neighborhood Shiba friends, that he started a Shiba Inu meetup group in NYC to make NEW Shiba friends! 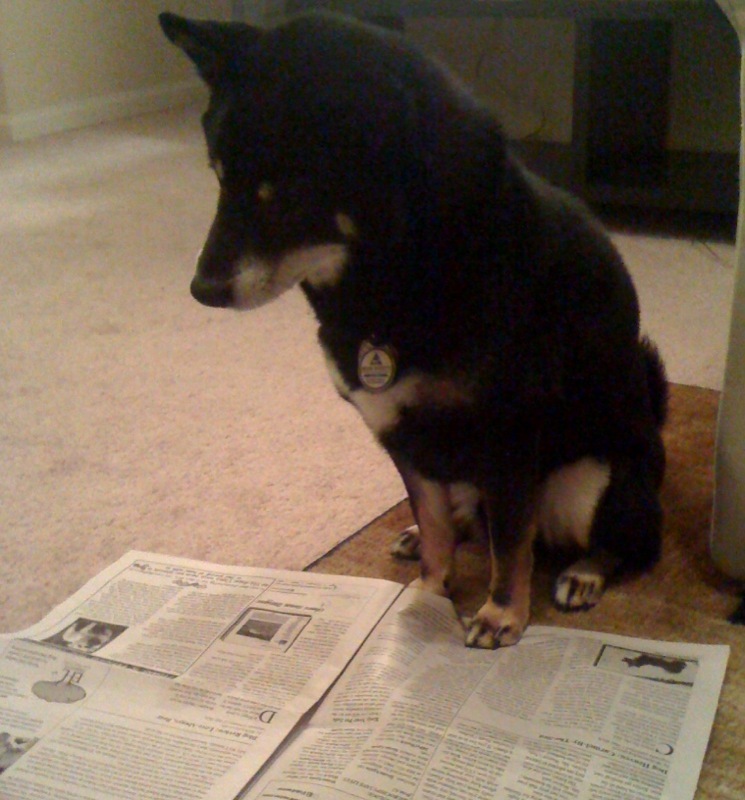 July 2006: Snick's blog was named in Urban Hound's first "The 10 top reasons why New York City is great (for dogs)," list. September 2006: Snickers appeared in Urban Hund's fall catalog. 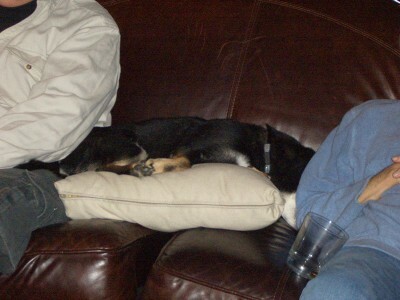 October 2006: Snick passed his Canine Good Citizen test. 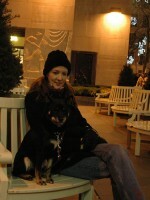 March 2007: Snick and his friends from the meetup group convinced some humans to found NYC Shiba Rescue. September 2007 Snick and his buddies Benno & Lily represented Shibas at the AKC Responsible Dog Ownership Day event in Madison Square Park, NYC. This was Snick's first big public event (with many more to come). 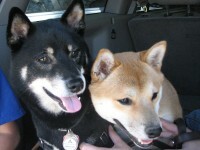 October 2007: Snickers became a foster brother for NYCSR, hosting his first temporary Shiba sister. May 2008: Snickers started visiting classrooms at The Gillen Brewer School in New York City as part of their humane education program. 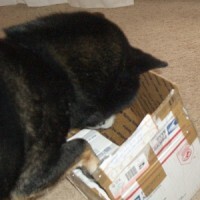 This was Snick's favorite job to date, only ending because he moved to Indianapolis in August 2008. 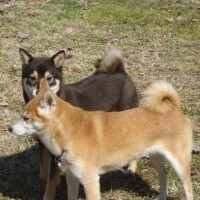 October 2008: Snickers appeared as the featured Shiba in WoofPatrol.com's Shiba Inu breed profile. December 2008: We started weekly visits with participants of the Easter Seals Adult Day Services program in Indianapolis. This was harder for Snickers than visiting with kids, but fun also and a great learning experience. March 2009: Snick moved to Jersey City, NJ. We hoped to start school visits again but weren't able to find a local program. We dreamed up the idea for Animals Who Educate. 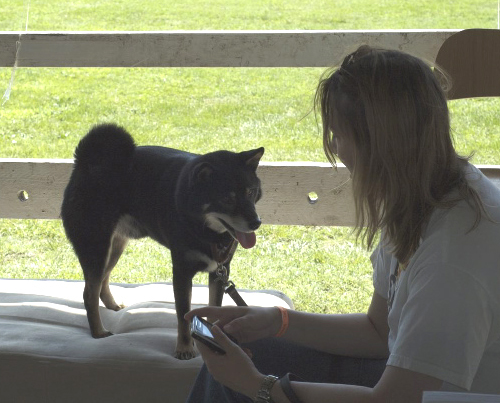 October 2009: Snick enjoyed putting his ambassadorial skills to use meeting thousands of people when Jenna & Snickers coordinated the Shiba Inu booth at the first ever AKC Meet the Breeds event held in NYC. 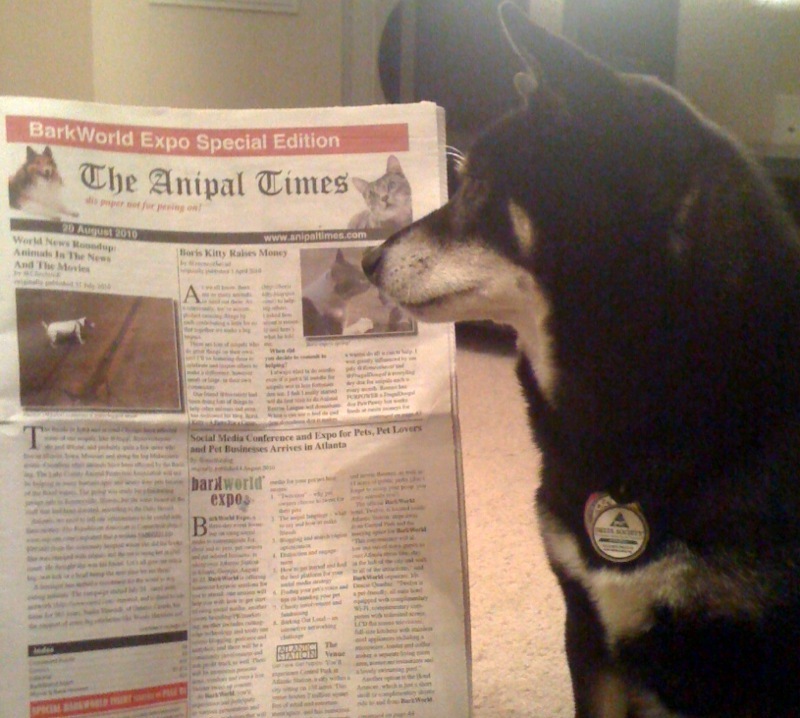 March 2010: Snick and a few of his Twitter pals, founded The Anipal Times, a daily online newspaper for animals and animal lovers. 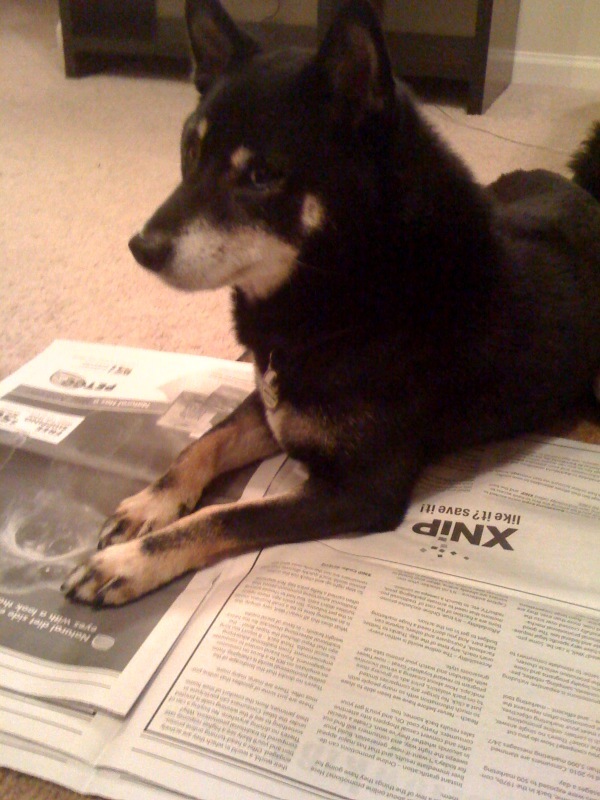 May 2010: Snick moved again, this time to Tupelo, MS.
August 2010: Snick enjoyed reading the first ever PRINT edition of The Anipal Times. 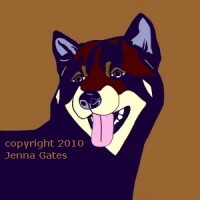 August 2010: Jenna & Snickers joined Comfort Creatures in Tupelo. March 2011: Snickers met his future fiancée, Emmie the Superdog, while she was walking across the country with her dad to raise money for military families. 2012: Snickers decided it was time to retire from his work as a therapy dog. November 2015: Snick was delighted to move back up north to big city life (AND SNOW). 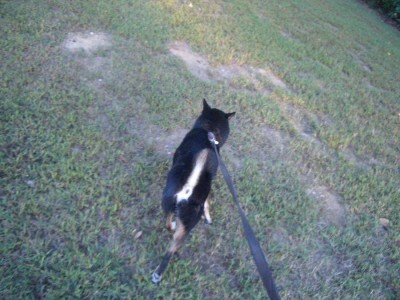 The blog entries below chronicle Snick's life and the effect he has had on my life and the world around us. 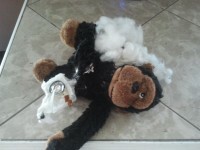 Snickers loves to KILL toys with noise boxes, but look what your dog could eat if you let them destuff unsupervised! Very dangerous if chewed or swallowed. Emmie the Super Dog is walking across the country with her pal, Troy Yocum. She recently told Snickers that she has a secret mission for the end of the hike. Loose Dogs Keep Ruining Our Walks! 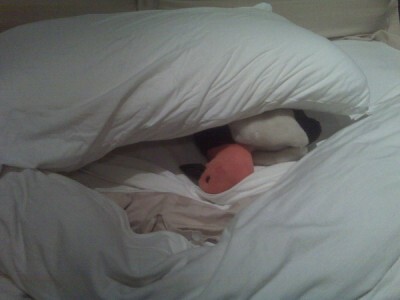 Anipal Photo Hunt #7: Hey! That’s Not Me! 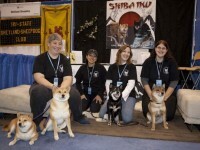 Snick and I planned the National Shiba Club of America’s booth at NYC Meet the Breeds 2009. 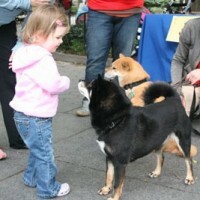 Along with volunteers from the NYC Shiba Meetup and NYC Shiba Rescue, we had a great booth and lots of fun. 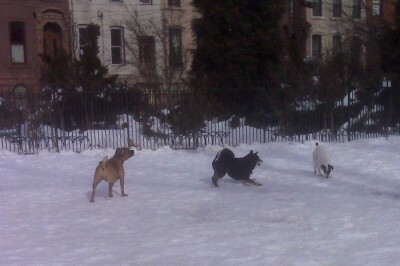 Snickers, his sister Secret and our foster boy, Murphy, had a blast playing in the the first real snow of the season. Snick and I went to a dog walking meetup in downtown Indianapolis and discovered that on-leash dog etiquette and behavior is different in a midwest city than in our hometown of Manhattan. It Was A Good Pawty! One of my meetup members posted some new photos today from our last meetup and this was in them. Ahhhh…. that’s my beautiful boy. Whose Bean Bag Is That? will be long enough for Snickers to be in our lives. Who Says Shibas Are Evil??? After reading Bones Would Rain from the Sky, I have been working on teaching Snickers more self control. It really pays off when he is good at the office! Snick just walked out of the bathroom with a piece of tissue stuck to one paw. I swear, I am not making this up. 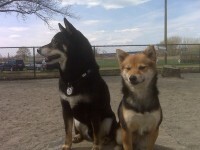 It’s raining today, so Snick has his buddy Toshi over to play. Watching them race maniacally around my apartment reminded me that I never posted pictures from the last time Toshi came over. 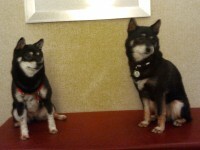 So… with no further ado, my favorite pair of Double Trouble Shibas. I couldn’t help myself. This is one of Snick’s puppy pictures that the breeder sent us when he was just a teeny baby. And THIS was a week or two after we brought him home. 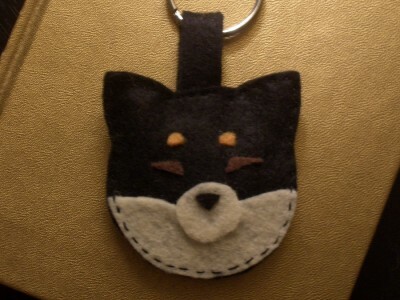 … a FAT SHIBA? Snickers is very food motivated, so I have to be careful that he doesn’t get FAT when we’re working on learning a new behavior. Everyone asks why I didn’t kick the guy back. I HAD TO CHECK ON SNICKERS. By the time I knew he was OK (perfectly fine, just a bit befuddled), the jerk was almost a block away. 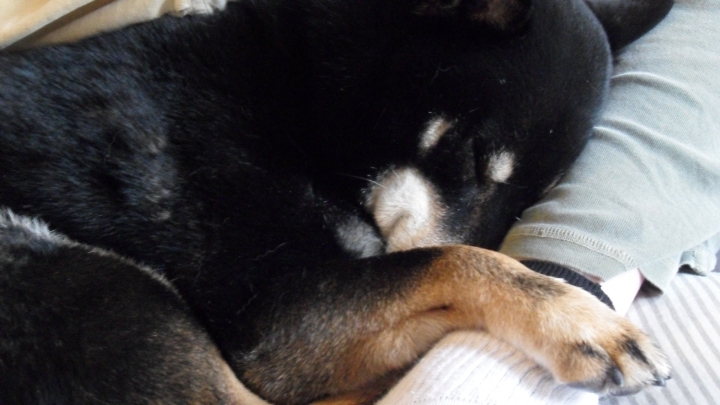 Besides, all that really mattered to me was taking Snick home and giving him lots of extra snuggly love. Who goes to someone else’s city and kicks their dog??? Apparently, American tourists do. My first blog post was originally posted on my freelance site nycgadgetgirl.com but was, of course, a photo of Snickers.